Senator Clay Scofield of Arab is one of ten accomplished professionals named by Auburn University’s College of Agriculture as recipients of the college’s 2016 Outstanding Alumni Awards. The awards will be presented in a ceremony at the Auburn Alumni Center on February 3rd. Departments and units within the College of Agriculture submitted nominations for the 2016 alumni awards. The final selection was made by a committee that included the college’s interim dean, associate deans, department heads and unit directors. Scofield graduated in 2004 and holds a degree in Agricultural Economics and Rural Sociology. He is a successful third-generation poultry farmer. 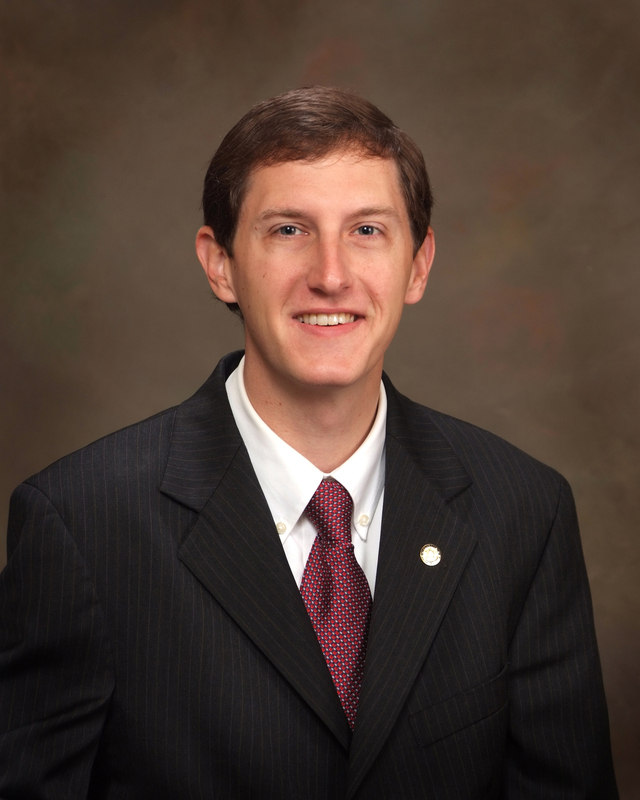 Scofield was elected to serve in the Alabama Senate in 2010 and is serving his second term representing Senate District 9, which includes Marshall County and portions of Blount, Madison and DeKalb counties. Among a number of committees, including Chairman of Confirmations, he serves on the Senate Agriculture, Conservation and Forestry Committee where he continues to support agricultural initiatives.